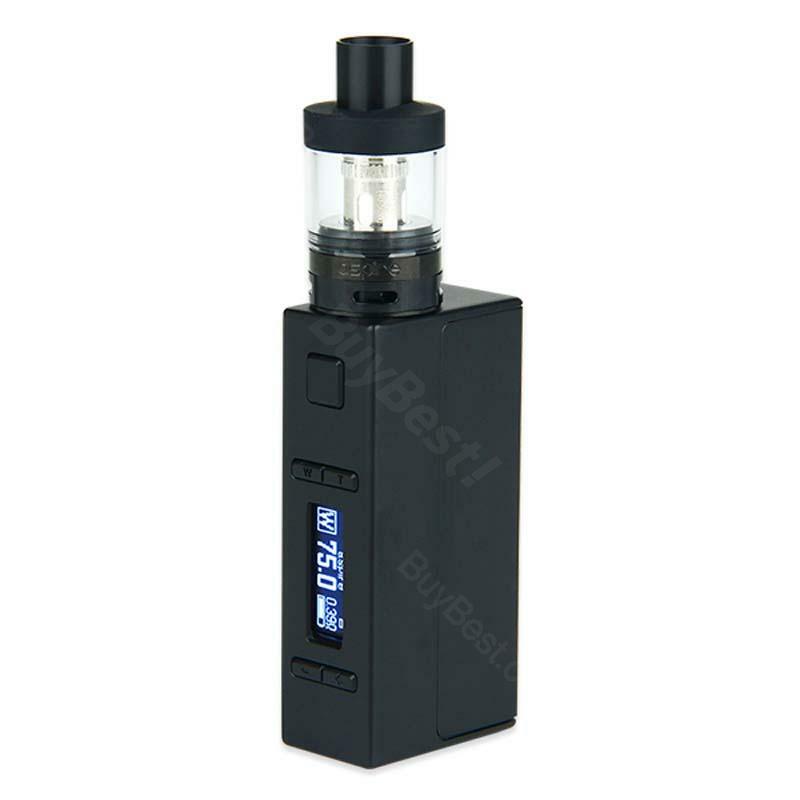 75W Aspire EVO75 Starter Kit includes Atlantis EVO sub-ohm Tank and NX75 box MOD 75W. It powered by 75w with Five button system, which will bring a nice vaping experience for you. Three colors for your selection. 75W Aspire EVO75 Starter Kit includes Atlantis EVO sub-ohm Tank and NX75 box MOD 75W. Atlantis EVO atomizer comes with 0.4ohm and 0.5ohm for your optimized vaping flavor and taste. Its NX75 box MOD powered by 75w with Five button system and Customizable firing button profiles. It can also change logo by one button, and control the temperature and wattage by another one button. After receiving this kit, you can also upgrade firmware on official website. We believe you will have a nice vaping experience with this device. Here are three colors for your selection. Great flavor, well built and full of extra features that you wouldn't even get with something more expensive. The literal only downside is the size of the tank but that's because of new rules coming into force in May that says the tanks have to be 2ml in size. Asspire NX75 mod matches atlantis evo tank, nice! I'm a Aspire fan. Atlantis series are my favorite. I keep this kit with me everyday. Bought this Aspire evo75 kit for my mother. She said it gives good flavor and decent clouds. Hope it can help her quit smoking eventually. Very solid vape kit from Aspire.